Sometimes our teeth fall siege to decay, and if put off, can lead to loss of part of your tooth and require the need of a dental crown or cap. But that is only if the degeneration is caught soon enough. If allowed to progress, then you may be faced with needing to remove the tooth entirely. 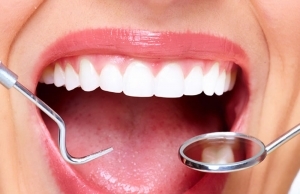 A dental extraction is the process of removing a tooth from a person’s mouth. Dental extractions are usually performed because of advanced tooth decay, infection in the gums, a crowded mouth or because it cannot be saved by a root canal. An extraction may also be needed and used for a dental implant. It is actually a fairly straightforward process. In some cases your dentist may suggest extracting one at a time, or he or she may focus on one area at a time, depending on the situation. What Are The Steps Performed During an Extraction? Your dentist will review your x-rays and the positioning of your teeth, which will help determine the type of extraction to perform. A tooth that has been fully exposed through the gum line can typically be removed, in most cases, as easily as any other tooth via a regular extraction. Before the dentist begins, he or she will have to numb the surrounding tissue with anesthetic. As soon as the area is numb, the dentist will remove the tooth and control bleeding. If removing a wisdom tooth that is under the gum line, there may be a need for what is referred to as a surgical extraction. Your dentist or practitioner will cut along your gum line to expose the tooth allowing it to be removed. This is called a surgical flap. It allows your dentist to gain access to the tooth. Once it is segmented with a pair of forceps or a tool called an elevator, your dentist will likely need to move your tooth back and forth, with just enough force within its socket to ease in its removal. Expect bleeding to occur for around 2 days, but it should not be severe. If bleeding does persist, you should contact your practitioner as soon as possible. You must rest and not perform any physical activities to avoid swelling and discomfort. Keep your mouth clean and avoid rinsing and brushing forcefully.